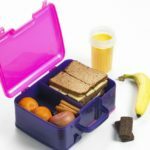 Top 10 “Home-packed “Lunch Bag Ideas for kids and parents too! ATTN PARENTS! You are the food crusader for your family! Here are some ideas to consider as the New School Year starts to help you fulfil your mission. Don’t worry – We are NOT suggesting that you make fruit kabobs, cheese daisies or use cookie cutters to create sandwiches that look like dinosaurs. We know you are busy and looking for practical solutions and advice. Follow the Canada Food Guide – It is not new, but it still works! Whole grains, fruits , veggies, and protein are the must- haves. Everything else is like icing. Don’t serve more icing than cake! Control the weekly consumption of Goodies – YOU Rule the Cupboard! Decide in advance how many goodies you are buying for the week, whether for school or home. If the kids eat them all before the week is finished, resist the temptation to run to the store to buy more. Think beyond the Sandwich – Fill small containers with crackers, cheese, veggies , fruit , muffin, cold meat, pizza or whatever to create an instant “Bento Box”. A thermos can carry leftovers, soup or even hot chocolate. Anything goes! Serve more Carrots and Apples – It’s harvest time. We would all be healthier, if we ate more carrots and apples and less of everything else. Try to think about the next day’s Lunch the night before. Mornings are such a rush! Get the lunches started the night before and get the kids to help out. Why not ask them to suggest a healthy lunch for you. This sends the message that healthy choices matter in your home. Be thankful – We live in a country with an overabundance of accessible and affordable food and perhaps we over-worry and over-cater to our children’s likes and dislikes. Most children in the world are grateful just to have enough to eat. Food is a blessing. Make them Laugh – There is no such thing as too much FUN. Visit onlygoodjokes.com Kids love corny jokes. And if you are packing a lunch for a spouse, give them a good chuckle too. Make them feel Good – We seldom tell ourselves how amazing we are. Yet we all need to hear it. Visit abundancetapestry.com and look for their 101 affirmations for children. Stick one in the lunch. Then tell yourself “I am a good parent” – because you really are! Give yourself a break now and then – Do you have a catered lunch service at your child’s school? Give yourself a day off. 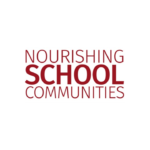 Food sold at school must now comply with specific nutritional guidelines, making this a healthy alternative, for your kids and for YOU. ONE MORE – Surprise your child by showing up at lunch time to take them on a surprise lunch date. Just doing this once in the school year will leave a big impression. It can be simply going home for a surprise lunch or a picnic in the park. http://thelunchlady.ca/wp-content/uploads/2014/05/logo.png 0 0 Webmaster http://thelunchlady.ca/wp-content/uploads/2014/05/logo.png Webmaster2014-09-30 19:24:452014-10-15 13:33:01Top 10 “Home-packed “Lunch Bag Ideas for kids and parents too!